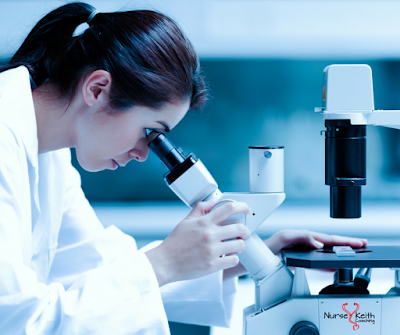 Some nurses appear to use a microscope when looking at their career options. If we take the microscope metaphor further, picture a glass slide being placed on the apparatus upon which the nurse has placed a solution containing her limited perception of what she can do with her career. What will she see? Only what she knows she is able to see. 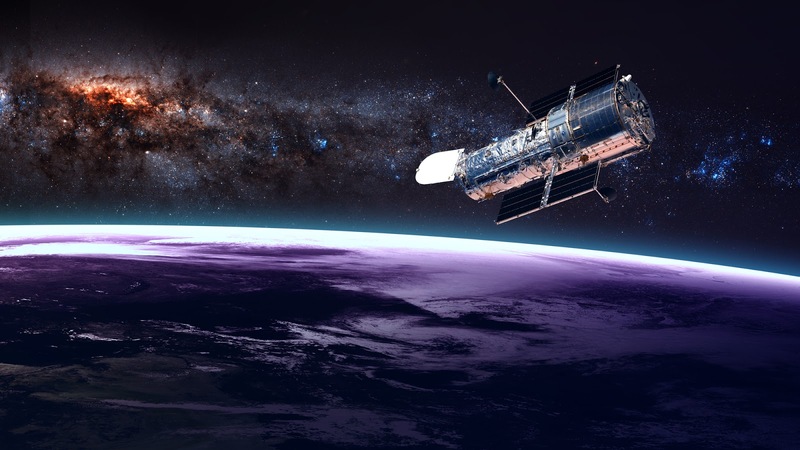 On the other hand, picture the Hubble Telescope; it searches the known and unknown universe for what we already know is there, as well as what we don’t even yet know exists. Can we view our nursing careers with the same grand vision? On both my podcast, The Nurse Keith Show, and this blog, I've discussed how we need to take both the macro and the micro of our nursing careers into consideration. Undue focus on either aspect can drive us further from our aspirations and optimal career trajectory. When we're stuck in the micro, it's as if we can only see what's on the slide under the lens while we ignore the larger organism that we're allegedly studying in minute detail. And when we focus solely on our grander visions and goals, we sometimes forget that the down and dirty work is often small and tedious, necessitating a sharpened ability to focus on the small steps that eventually lead to our overarching sense of accomplishment or success. Your nursing career is a moving target, an organic process of discovery and growth. While your career may at times feel stagnant (perhaps from the effects of a seemingly dead-end job or a toxic work environment), you in fact almost always have choices that can be made to alter your situation. A potentially dynamic career such as nursing need not feel like a ball and chain, or simply a form of drudgery serving as a tedious means to a financial end. Many nurses give voice to their higher natures or their inner voices, at times expressed in a desire to be of service and contribute to society and the well-being of others. Some of us need help finding that place of satisfaction, especially since many work environments in the healthcare sector leave much to be desired on multiple levels. One must consistently take both the long view and the short view of a career. The lucky few may rocket into a beloved nursing specialty that holds their interest and professional loyalty for multiple decades; others of us may flounder, continuing to seek deeper meaning and satisfaction while bouncing our way through a relatively topsy-turvy nursing career path. I have personally focused my clinical and administrative nursing work on the outpatient side of things, with stints in home health, hospice, public health, case management, and community health. Throughout the second decade of my nursing career (I've been a nurse for just over 20 years as of this writing), I've been on a slow and steady trajectory of creating a workstyle and lifestyle that allows me to be 100% self-employed, a goal that I only just achieved as 2016 came to a close. Will this be my ultimate nursing grail? Will I never hold a clinical or administrative nursing position again? Only time will tell, and you can bet that I'll be keeping both the macro and the micro in mind along the way. Nurses and non-nurses alike will undoubtedly be more than free with their well-meaning (yet often misguided) advice about what you should do with your nursing career. If you're a new grad, the old saw of needing two years of med/surg will be repeated ad nauseum, even when there isn't a single med/surg job in sight. I rejected this advice back in 1996, and I never looked back; I've happily avoided working in a hospital for the entirety of my very satisfying nursing career, and I feel fine, thank you. You don't need to be a clinical genius to be a happy nurse. If burying your nose in statistics and research is your idea of a good time, there are ways to make that the focus of your work as a non-clinical nurse researcher. Some nurses find their bliss in hospice, and others find it in educating and inspiring other nurses or nursing students. Still others carve out paths that are stunningly out of the box, devoid of the trappings of what we think a nurse "should" be; nurse entrepreneurs, nurse journalists, and nurse consultants are indeed still nurses, bringing the nursing process and critical thinking to the worlds of tech, small business, or even the corporate milieu. Remember to keep your microscope and your telescope on hand throughout your nursing career; these are complementary tools that will serve you well as you travel the nursing path. When you find yourself confronted by individuals or institutions who are attempting to strip you of your own personal vision in deference to theirs, recall that individual career agency is born of an ability to hold all aspects of your vision in focus, even when focus seems to be furthest from your grasp. Advice is fine, but if others' advice feels like a "should" or an imposition of their will over yours, then you have some work to do in order to stand your ground and act according to your own desires and motivations. Cultivate your individual personal agency in regard to your nursing career. Bear in mind both the macro and the micro, and create the career that brings you fulfillment, satisfaction, and a feeling of lifelong accomplishment. Keith Carlson, RN, BSN, NC-BC, is the Board Certified Nurse Coach behind NurseKeith.com and the well-known nursing blog, Digital Doorway. Keith is co-host of RNFMRadio.com, a wildly popular nursing podcast; he also hosts The Nurse Keith Show, his own podcast focused on career advice and inspiration for nurses. A widely published nurse writer, Keith is the author of "Savvy Networking For Nurses: Getting Connected and Staying Connected in the 21st Century," and has contributed chapters to a number of books related to the nursing profession. Keith has written for Nurse.com, Nurse.org, MultiViews News Service, LPNtoBSNOnline, StaffGarden, AusMed, American Sentinel University, the ANA blog, Working Nurse Magazine, and other online publications. Mr. Carlson brings a plethora of experience as a nurse thought leader, online nurse personality, podcaster, holistic career coach, writer, and well-known successful nurse entrepreneur. He lives in Santa Fe, New Mexico with his lovely and talented wife, Mary Rives. The Digital Doorway Nursing Blog Turns 12!